Fashionably late, here’s my review of the first season of “Jessica Jones”! I actually wrote this the week the show came out, but for various reasons it took a while to get it it ready for publication. This entry was posted in My Non-fiction, Reviews and tagged marvel, netflix, science fiction, strange horizons, TV on March 14, 2016 by Marina Berlin. 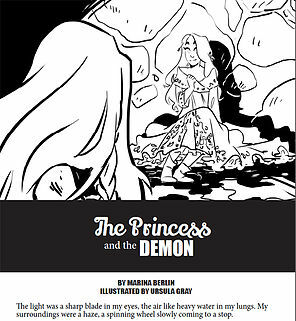 So, a while ago I updated to say that my short story The Princess and the Demon was featured in issue #8 of The Running Bunny, but you could only get the issue by singing up for Patreon. This entry was posted in My Fiction and tagged fantasy, short story, stuff to read, the princess and the demon on March 7, 2016 by Marina Berlin. I wrote a new article for The Toast on movies about historical women who’ve been essentially written out of history. Read about Queen Victoria’s favorite author, a 4th century Greek philosopher and the other Mozart genius! Do you love biopics? I love biopics. They allow us to consider how we remember our history, and whose lives we think merit a film budget and a production crew. I want to introduce you to three biopics you should know if you don’t already, all centering women who accomplished extraordinary things and were overlooked in favor of their male contemporaries. These three movies were either made on a small budget and received relatively little media attention, or were, for various reasons, barred from wide distribution in the U.S. While their accuracy varies, all of them will inspire you to reflect on the lives of women we know too little about. Directed by Francois Ozon, this film is inspired by the life of 19th-century bestselling author Marie Corelli. Born to unmarried parents, a Scottish poet and a servant girl, Corelli (whose real name was Mary Mackay) rose to prominence writing what would today be considered “new-age” pulp fiction. A contemporary of Arthur Conan Doyle and Oscar Wilde, her books outsold theirs and were collected by the likes of Winston Churchill and Queen Victoria — yet Corelli was, perhaps unsurprisingly, considered an upstart and a hack by most of the influential writers of the time. The film Angel is based on a 1957 novel of the same name, written by Elizabeth Taylor (Corelli was the inspiration for several novels, both before and after her death). Angel Deverell — played by Romola Garai — is a 19th-century working-class woman who dreams of fantastical things and puts them into writing. When a publisher offers to buy her work if she changes certain aspects, she refuses. Her commitment to her vision and her belief in herself allow her to succeed despite the odds, but also prevent her from changing with the times. Both the novel and the film show Angel’s early days of struggle, her years of enormous success, and finally the end of her career, when the reality of World War I renders her extravagant stories irrelevant. If you’re at all familiar with Ozone’s work, you won’t be surprised to learn that the movie is as over-the-top as Corelli’s novels – Angel is larger than life in her ambition, in her lust for perfection. It’s what draws people to her, makes men and women fall in love with her, buoys her when she encounters harsh criticism from the literary establishment. The movie ultimately shows her getting everything she wants, all while letting her be occasionally selfish and arrogant, without the need for “redemption.” If you’ve always wanted a movie about a badass 19th-century anti-heroine who managed to have it all, Angel is here for you. Hypatia of Alexandria was a 4th-century Greek philosopher, astronomer, and mathematician who lived in Roman-ruled Egypt. She attained a senior position in academia and taught many generations of students at the Platonist school in Alexandria. As none of her writings survive to this day, she’s been effectively written out of the history of Greek philosophy. Agora represents one effort to restore part of her legacy while exploring broader themes of sexism and classism. The film portrays Hypatia (played by Rachel Weisz) as a prominent political figure who made many scientific discoveries before her time – including finding proof of the heliocentric model of the solar system and inventing new scientific tools – only for them to be lost after her death. One of the few things we definitely know about Hypatia is that she was killed by a mob of Christians and blamed for worsening the conflict between the governor of Alexandria (Orestes, played by Oscar Isaac) and the city’s newly appointed Christian leader. Agora chooses to portray these events in a subversive light, depicting Hypatia as a force for peace – she even risks her life to protect her Christian students. Early Christianity is depicted as a zealous cult that attempts to seize power by attacking minorities – including Jewish people and women – and recruiting disenfranchised young men to commit violence. (While the film received the blessing of Vatican officials, North American distributors balked at giving it a wide release.) All it takes for Hypatia to lose her life, her work, her legacy, is for Orestes — a former student of Hypatia’s who still regularly relies on her council — to remain complacent in the face of the extremists of the day. Hypatia loses everything because even the men who love and respect her don’t see the true danger she’s in; this depiction is a stunning indictment of casual cultural misogyny. But perhaps the most amazing sequence of the movie has nothing to do with religious conflict. Early on in their acquaintance, Orestes – at this point one of Hypatia’s many young, rich male students – decides to court her. He creates a public spectacle, plays her a song, and begs for her favor, all with the certainty that she’ll fall into his arms. Instead, Hypatia shows up to class the next day armed with her menstrual rags, which she gifts him, in full view of his peers. It’s this mix of humor — Scenes About Menstruation You’ll See Nowhere Else — and the movie’s deconstruction of complex social issues and history that makes Agora worth your time. Maria Anna Mozart was born four years before her brother Wolfgang and was, by many accounts, as dazzlingly gifted as he was. She was also subjected to the same rigorous regime of musical training and traveling through Europe – playing for kings, queens, and celebrities of the period — when she and Wolfgang toured together, they were referred to as “the astounding Mozart children” and Maria Anna was billed first. When Maria Anna was fifteen, she was left in Austria with her mother while her father and brother continued touring. She continued to write music – none of which survives, although there is a record of Wolfgang praising it – and give piano lessons locally, but her performing career was effectively over. As a young woman, being on the road would have endangered her reputation, and her father preferred not to risk any scandal being attached to the family name. Mozart’s Sister focuses on Maria Anna’s last year of freedom, when she is fourteen and traveling with her family to France. It depicts her adventures at the French court, some of the family dynamics that led her father to halt her career, and her friendship with 13-year-old Princess Louise, who she meets at a remote convent at the start and end of her journey. Among other things, Mozart’s Sister is about the ways in which the world betrays young women. Despite Maria Anna’s immense talent and popularity, everyone around her knows that eventually she’ll have to step back, stay home and relinquish her claim on greatness. 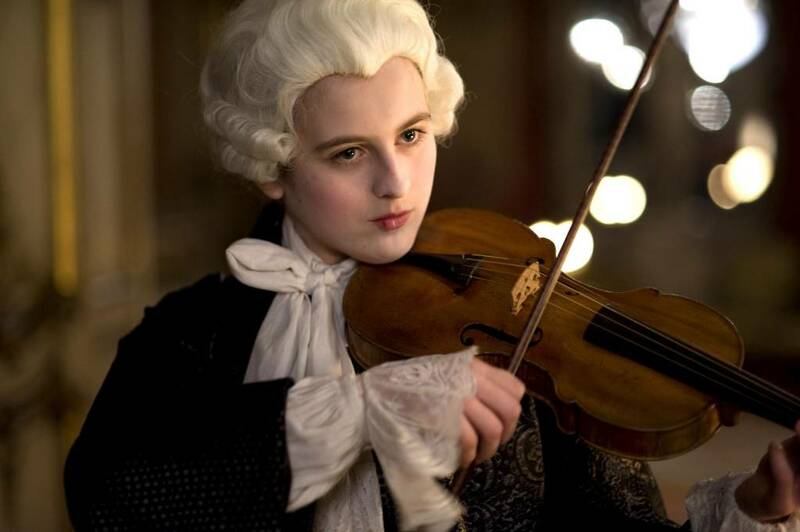 She spends the film fighting against the forces of family and society that try to constrain her ambitions — she continues to play the violin, begins to compose her own music, and dresses in boys’ clothes to gain access to the French prince and become part of his entourage. She even attempts to gain entrance to the best music conservatory in France, where women are not permitted to study. The film draws a parallel between Maria Anna’s struggle and Princess Louise’s fate of being brought up in the remote austerity of the convent while her brother, the heir, experiences court life in all its luxury. As the film draws to a close, Louise ponders how different the women’s lives would be, had they been born boys: “You would be your brother and I would be mine, and we would both reign.” The chief mission of Mozart’s Sister is to tell Maria Anna’s story and show that she lived vigorously, energetically, and fought against the circumstances of her birth. So, those are my three recommendations. What are some of your favorite biopics about extraordinary women who haven’t gotten enough attention? Throw them my way! This entry was posted in My Non-fiction and tagged article, film, the toast on March 1, 2016 by Marina Berlin.